Wondering how to make mayonnaise? This whole egg mayonnaise recipe is quick and easy with the help of a food processor. An immersion blender is even easier. Avoid using a regular blender, however, as it doesn't work as well. Home cooks concerned about Salmonella may prefer to use pasteurized eggs. In general, select only very fresh eggs and ones with no cracks in the shell. Be sure the shells are clean and free of impurities before cracking open the eggs. For extra flavor, try using some olive oil in place of vegetable oil, or add a pinch of cayenne pepper. Yields 2 1/2 to 3 cups of mayonnaise. Discard unused mayonnaise after 10 days. Measure all ingredients into a tall mixing cup. Insert the blender and process on high speed until mayonnaise forms, usually in half a minute. Move the blender up and down and in a circular motion to be sure that everything is fully mixed. Taste; if desired, adjust salt or lemon juice. If you feel the mayo is too thick, thin it by blending in very hot water one teaspoon at a time. If it's a bit thin, blend in a little more oil, a tablespoon or two at a time. Measure out the eggs, vinegar, mustard, salt and white pepper into the bowl of a food processor. Blend on slow speed until well combined. Increase the speed to high and add the vegetable oil in a slow, continuous trickle through the feeder tube until the mayonnaise thickens. How much oil this takes depends on how large the eggs were. 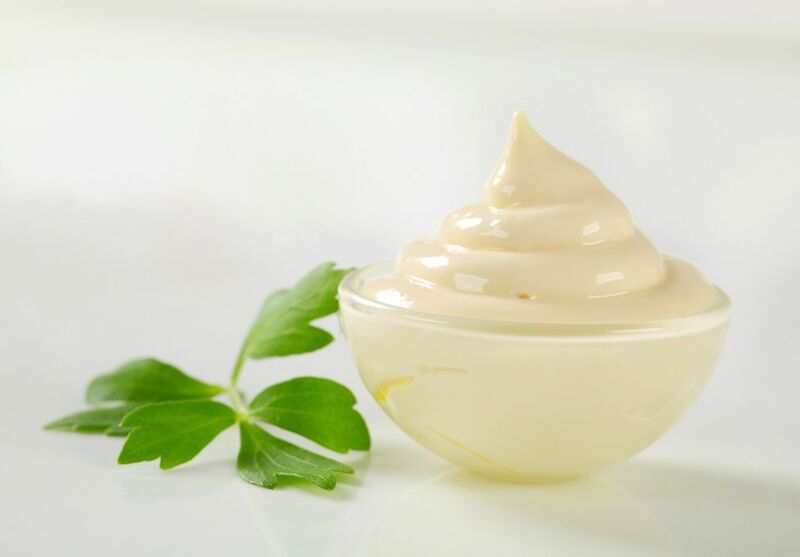 Taste the mayonnaise; adjust the seasoning and lemon juice or vinegar to taste. Briefly blend again to incorporate any additions. If you feel the mayonnaise is too thick, simply add hot water one teaspoon at a time with the motor running until the mayonnaise has the desired consistency. Immediately store the homemade whole egg mayonnaise in a jar or plastic container in the refrigerator. Discard unused homemade mayonnaise after 10 days.